Attention current Lake Havasu City residents, visitors, and soon-to-be homeowners! 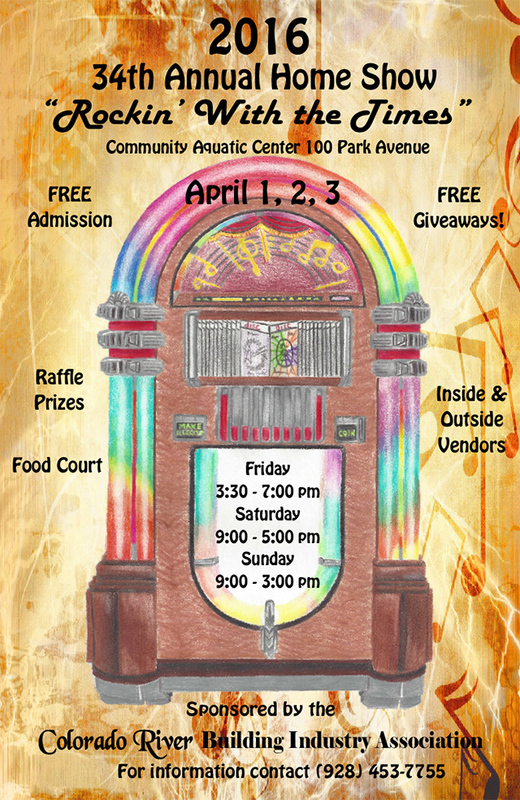 The The 34th Annual "Rockin' With the Times" Home Show is taking place this weekend beginning tomorrow, Friday April 1st. If you recently found your Lake Havasu dream home with the help of Realty ONE Group Mountain Desert, here is your opportunity to find everything you need to make it even better! Whether you love your Lake Havasu real estate and are looking for some upgrades or just want to browse the latest and greatest backyard gadgets, the 34th Annual Home Show is sure to have what you're looking for! Last year this event drew over 18,000 people, and this year has the potential to surpass even that! Taking place at the Lake Havasu City Aquatic Center, this event will feature vendors offering anything and everything that will transform your house into a home! On display will be artwork, home furnishings, insulation, flooring, security systems, doors, windows, HVAC, and much more! You will also find real estate agents, mortgage brokers, insurance agents, contractors, jewelers and many others. As with any great event, there will be plenty of food vendors so you can stay hydrated and energized! This is a free event so don't miss it! Details below and more at this link.